One week after it’s reincarnation at Marvel Stadium, AFLX will take centre stage at the Kawana Sports Precinct – this time with academy selection on the line. 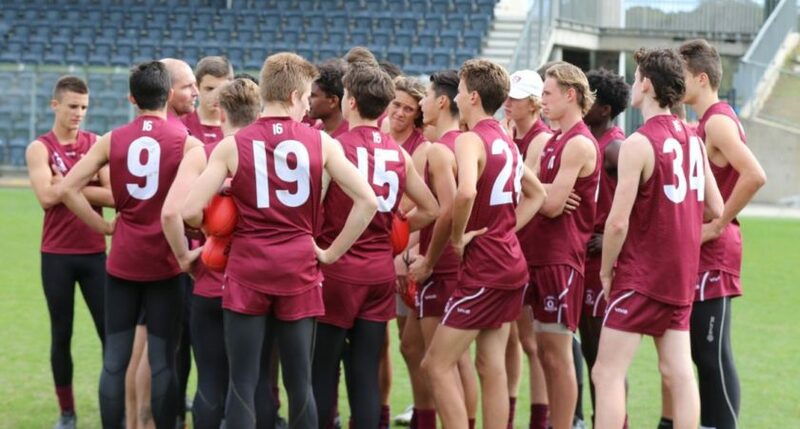 Under 16 footballers from across Brisbane, Darling Downs, Sunshine Coast and Wide Bay will compete in a round robin carnival as part of the Hyandai Help for Kids Brisbane Lions Academy selection process. The five regions – with Brisbane divided into subsequent North and South squads – will each field two or three teams in the modified eight-aside game. AFL Queensland State Talent Manager Mark Browning said the AFLX carnival allows more players to be noticed more often. “Over the summer, changes were made to the Brisbane Lions Under 16 Academy and the new AFLX carnival represents the beginning of phase two in the process,” Browning said. “An AFLX style carnival was chosen because it allows for players to be among the action more often and ensures the coaches the best opportunity to evaluate players for selection. Across the Kawana Sports Precinct’s six fields, each of the 13 teams will play four games; each comprising of two 12 minutes halves. The AFLX rules will follow the 2018 format to follow more traditional Australian Rules football scoring methods. Girls will also be in on the action in a three-round carnival commencing at 11:30am and prior to the male carnival. The female carnival will act as team selection for a two-game series against the Gold Coast SUNS in April and May – the first year the Brisbane Lions Academy girls will have the opportunity to represent the academy. Brisbane Lions have an Under 16 female academy group, Saturday’s carnival will be the first time Academy girls will play at this age level. The three games will culminate in a finals series between first and second place and a third-place playoff between the third and fourth ranked teams.